Some people are lucky — they never seem to have a mishap, dental or otherwise. But for the rest of us, accidents just happen sometimes. 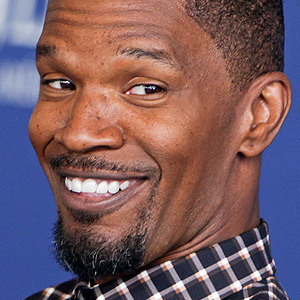 Take actor Jamie Foxx, for example. A few years ago, he actually had a dentist intentionally chip one of his teeth so he could portray a homeless man more realistically. But recently, he got a chipped tooth in the more conventional way… well, conventional in Hollywood, anyway. It happened while he was shooting the movie Sleepless with co-star Michelle Monaghan. For natural teeth that have only a small chip or minor crack, cosmetic bonding is a quick and relatively easy solution. In this procedure, a tooth-colored composite resin, made of a plastic matrix with inorganic glass fillers, is applied directly to the tooth's surface and then hardened or “cured” by a special light. Bonding offers a good color match, but isn't recommended if a large portion of the tooth structure is missing. It's also less permanent than other types of restoration, but may last up to 10 years. When more of the tooth is missing, a crown or dental veneer may be a better answer. Veneers are super strong, wafer-thin coverings that are placed over the entire front surface of the tooth. They are made in a lab from a model of your teeth, and applied in a separate procedure that may involve removal of some natural tooth material. They can cover moderate chips or cracks, and even correct problems with tooth color or spacing. A crown is the next step up: It's a replacement for the entire visible portion of the tooth, and may be needed when there's extensive damage. Like veneers, crowns (or caps) are made from models of your bite, and require more than one office visit to place; sometimes a root canal may also be needed to save the natural tooth. However, crowns are strong, natural looking, and can last many years. But what about teeth like Jamie's, which have already been restored? That's a little more complicated than repairing a natural tooth. If the chip is small, it may be possible to smooth it off with standard dental tools. Sometimes, bonding material can be applied, but it may not bond as well with a restoration as it will with a natural tooth; plus, the repaired restoration may not last as long as it should. That's why, in many cases, we will advise that the entire restoration be replaced — it's often the most predictable and long-lasting solution. Oh, and one more piece of advice: Get a custom-made mouthguard — and use it! This relatively inexpensive device, made in our office from a model of your own teeth, can save you from a serious mishap… whether you're doing Hollywood action scenes, playing sports or just riding a bike. It's the best way to protect your smile from whatever's coming at it!